A health committee was looking at the government’s proposed new alcohol laws today. ALCOHOL COMPANIES’ SUPPORT for responsible drinking campaigns is little more than a “clever exercise in corporate branding”, one advertising expert has claimed. Dublin Institute of Technology’s Dr Patrick Kenny said recent moves by the industry to join the public-health fight were “possible to interpret … as a genuine attempt to tackle Ireland’s problematic drinking culture”. But he said it was also possible alcohol companies had learned the lesson of Big Tobacco’s “defensive and reactive stance” when that industry was put under scrutiny, a period which ended in tight regulation. Kenny was speaking at an Oireachtas Health Committee meeting examining the government’s proposed new alcohol regulations. The draft rules, first unveiled in early February, include a minimum unit pricing for alcohol, warning labels on products and a watershed rule for alcohol advertising in broadcast media. However the restrictions stopped short of answering calls to ban alcohol companies from sponsoring sporting events after sporting bodies warned their futures would be under threat with the loss of funding. A Diageo-backed “Stop Out-Of-Control Drinking” group has since been assembled with the stated aim of making problem drinking unacceptable. 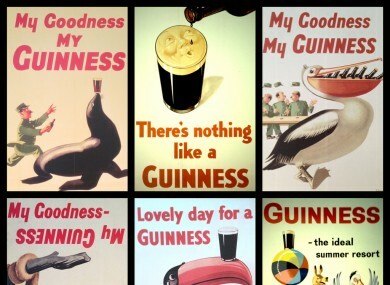 However two of its board members have already stood down, although the group has said the brewer, which owns Guinness among other brands, only provided the funding for the campaign and had no control over its decisions. Kenny said previous proposals to control alcohol marketing were shelved after the alcohol industry agreed a new code of practice and now a “new, high-profile campaign” had been launched while the latest restrictions were being considered. Fianna Fáil health spokesman Billy Kelleher said it was a “fundamental flaw” of the new rules that no-one had “bit the bullet” on alcohol advertising in sport as it was aimed at a primarily young audience. There is no doubt that the target audience isn’t a 75-year-old man drinking two pints of Murphys in a pub in Cork … it’s the younger audience that has been the target the whole time for alcohol companies,” he said. Kelleher said he was also “very concerned” that alcohol producers backing anti-drinking campaigns would send the wrong signals the companies were “doing it for society’s good” – rather than trying to ward off tighter regulations. Email “Alcohol companies may have learned some lessons from the fight against Big Tobacco”. Feedback on “Alcohol companies may have learned some lessons from the fight against Big Tobacco”.